Hello my (hopefully) loyal blog friends. I have been conspicuous by my absence once again, I mean seriously, 5 months since my last post!! I have no excuses, except life getting in the way. 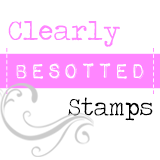 I have been making cards, and have photos of everything, but just finding the time to blog has been beyond me. This is a card made for a male friend, I absolutely adore this image from Mo Manning and once I had purchased it couldn't wait to use it, I think it is perfect for male cards. I kept the card simple, as I think the image is quite a statement on its own, plus adding lots of embellishments on male cards never seems to work for me. 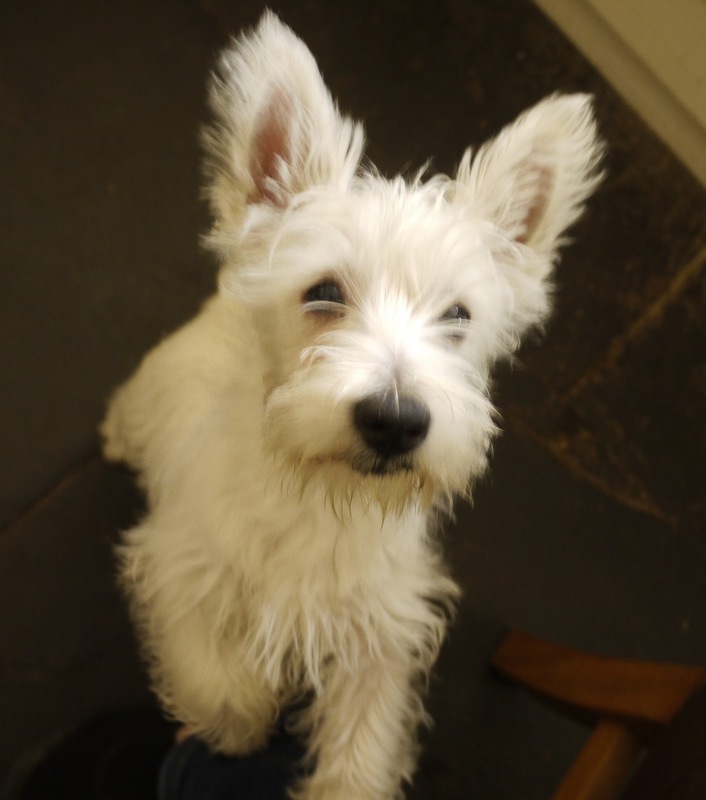 Misty is a Westie and is now 4 months old, she is such a naughty puppy, but adorable. I have wanted a Westie like forever and finally I have one (didn't think hubby would let me get her, but he did). Wow that was a simple card, hardly any ingredients!! Thank you for visiting, and I really appreciate any comments that you leave. 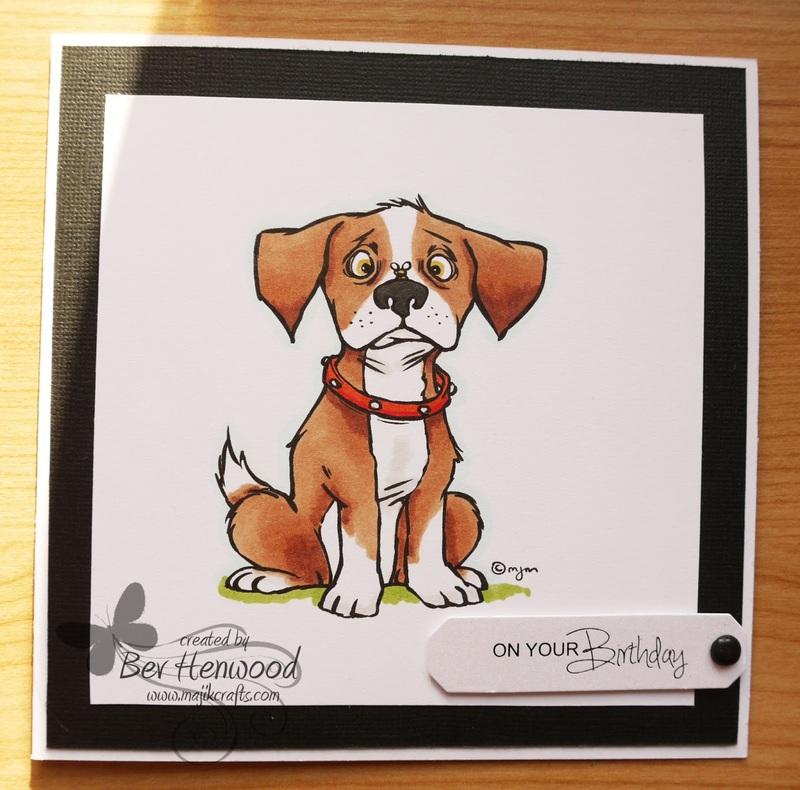 Love this card and the sweet puppy image. I know what you mean about other distractions but I am glad to see you back. I try to keep up but it takes time. 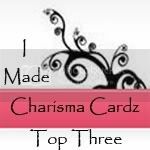 I do love visiting blogs though because there is so much talent and inspiration out there. It was sad to hear about Holly's passing. I wish dogs could live forever because they bring so much joy and happiness to our lives. About 5 years ago, our dogs died within a year of each other. They'd had long and good lives but it was still hard to let them go. Misty looks adorable and I both envy you and don't envy you with a new puppy... hahahahha... I remember all the chewing, peeing and rowdiness that comes with a puppy. I love how every day is a brand new day for them and they seem to do everything with such gusto.